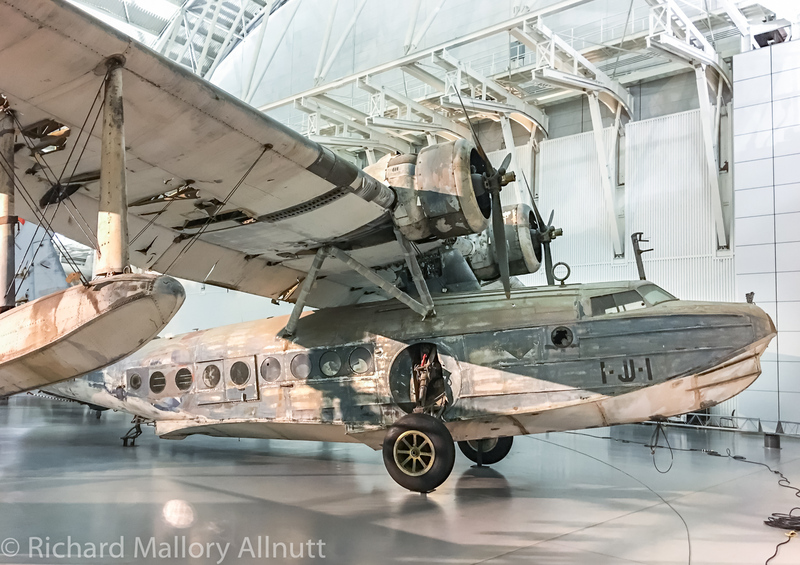 In recent weeks, the Smithsonian’s National Air & Space Museum has added three new aircraft to its public exhibition space at their Stephen F. Udvar-Hazy Center in Chantilly, Virginia. The first of these aeroplanes is the museum’s Sikorsky JRS-1 flying boat. While this aircraft has been at the facility for some years now, it has always been far from view in the Mary Baker Engen Restoration Hangar. NASM personnel recently moved it into the main display hall to make temporary storage space available for exhibits coming from the main campus in Washington, DC while that facility undergoes a major refit. The JRS-1 is a sizable aircraft, and the only complete example of its type to survive (although there are two extant Sikorsky S-43s, from which the JRS derives). The Smithsonian’s JRS-1 served in the U.S. Navy as Bu.1063. It was based at Ford Island during the Japanese attack on Pearl Harbor of December 7th, 1941, and actually took off during the melee to search for the Japanese fleet with Ensign Wesley Hoyt Ruth at the controls. Somehow, this ungainly looking and defenseless aircraft survived the Japanese onslaught unscathed and, indeed, the heavy American antiaircraft fire peppering the sky all around her. She came within a few dozen miles of locating the enemy carriers too. Ruth, along with the pilots of four other Navy Utility Squadron One JRS flying boats which got airborne that day received the Navy Cross for his bravery. The Navy modified their JRS-1s to carry depth charges soon after entering WWII, and they carried out long-distance reconnaissance missions from Hawaii on the lookout for the enemy fleet and submarines. Bu.1603 served in this role until September 5th, 1942, after which it returned to the U.S. mainland for a complete overhaul in California. 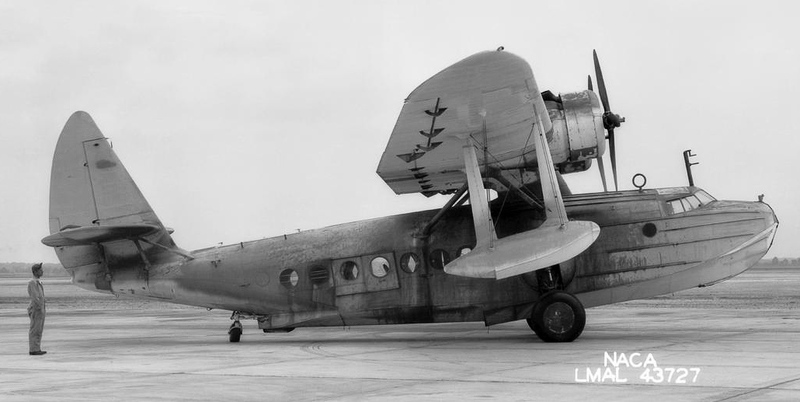 Following refurbishment, the aircraft received an assignment to Moffett Field, near Santa Clara, California, in August, 1943 for use with Fleet Airship Wing Three. The Navy officially struck her off charge in August, 1944, whereupon she went into storage for a brief period before moving to Bush Field in Augusta, Georgia in March, 1945. 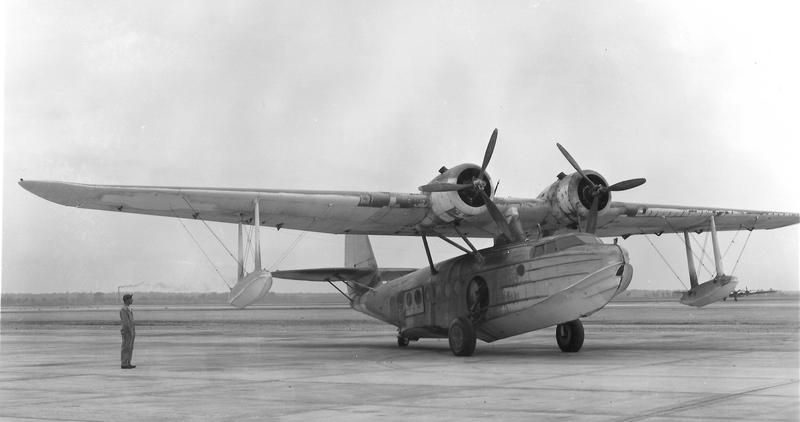 The flying boat then arrived for service at N.A.C.A. Langley Memorial Aeronautical Laboratory, Langley Field, Virginia (now NASA Langley) on April 26th, 1945, where she became NACA 242. Once the N.A.C.A. had completed their experiments, the flying boat returned to Bush Field on November 20th, 1946. 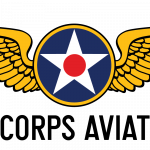 In 1948 the JRS-1 retired permanently, and was marked for preservation as part of the National Air Museum (which eventually became today’s National Air & Space Museum). Unfortunately, like many aircraft in the then nascent museum, the JRS spent a considerable amount of time in external storage due to lack of hangar space, and this accounts for her somewhat bedraggled appearance at present. 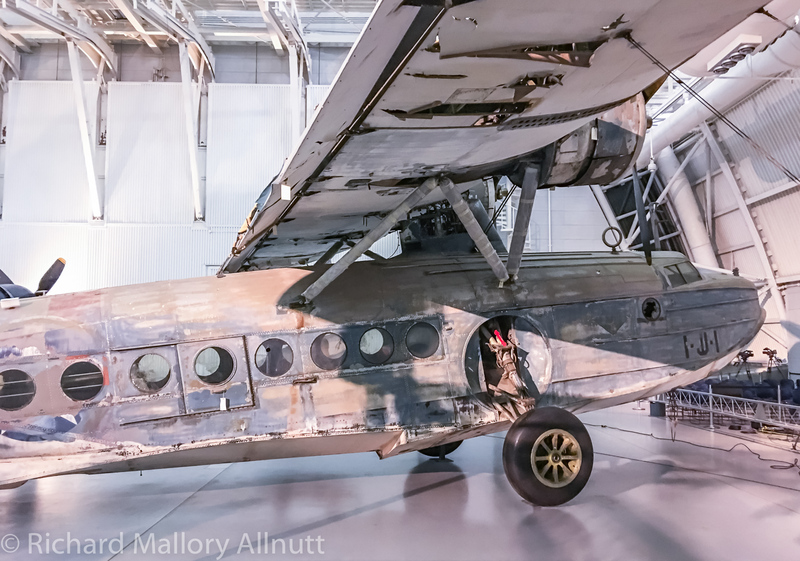 However, despite her weather-worn looks, the aircraft is in excellent condition, and will eventually receive a more thorough conservation once other projects, such as Martin B-26 Marauder Flak Bait, are completed and funds become available. 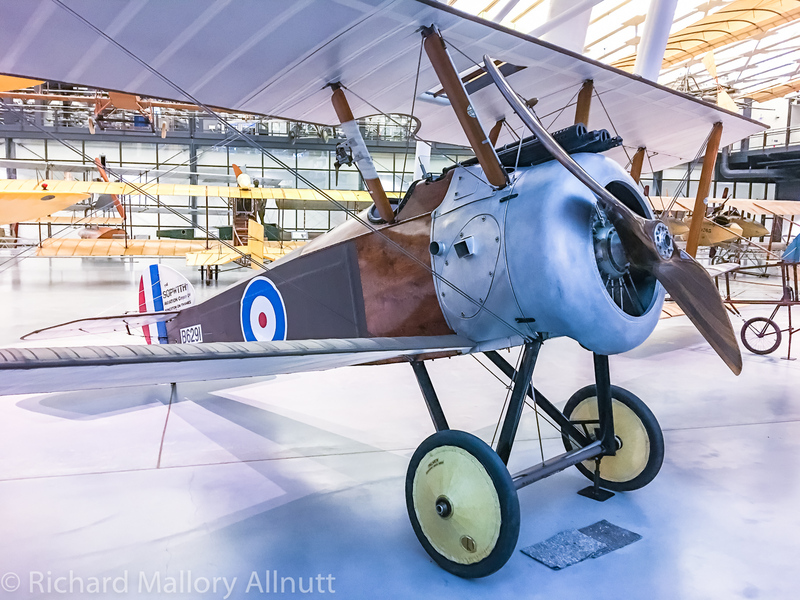 The other two recent arrivals in the main exhbition hall at the Udvar-Hazy Center are an original WWI-veteran Sopwith Camel fighter and the unique VanDersarl Blériot monoplane. 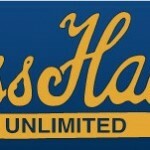 They are NASM’s latest acquisitions. 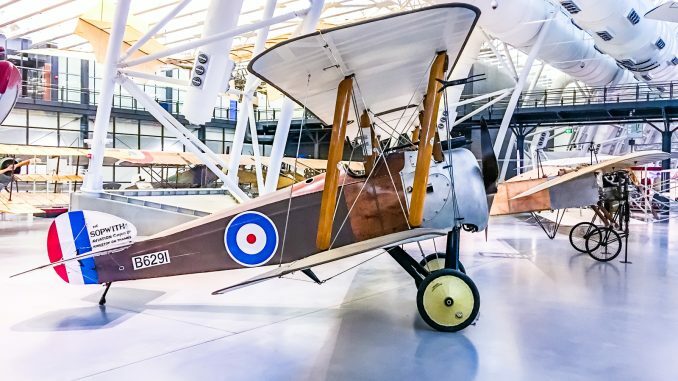 The two superbly restored, flyable aeroplanes were a gift from the family of the late and much-missed Javier Arango; a collector, restorer, pilot and astute historian of aircraft from the dawn of flight through WWI. 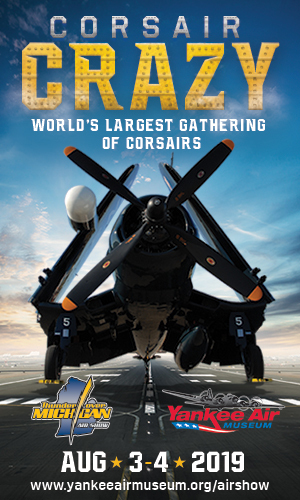 Arango created The Aeroplane Collection, one of the world’s finest collections of WWI-era aircraft designs, in Paso Robles, California. 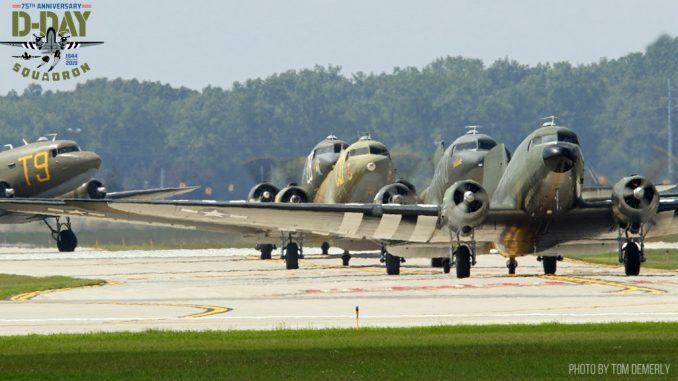 While most of the aircraft in the Aeroplane Collection are replicas, most are authentic to the original design, including period engines, making their sight, sound and behavior in the air faithful to the originals. 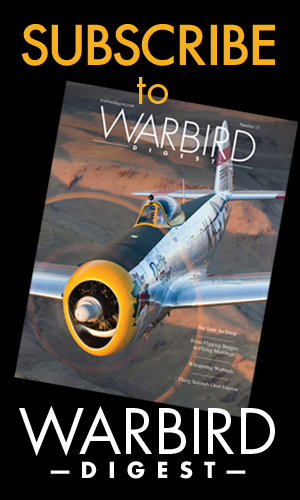 Noted vintage aircraft owner, restorer and pilot, Chuck Wentworth, was one of Arango’s chief collaborators, and played a major role in the restoration/recreation of a good number of Arango’s aircraft, including the pair now owned by NASM. 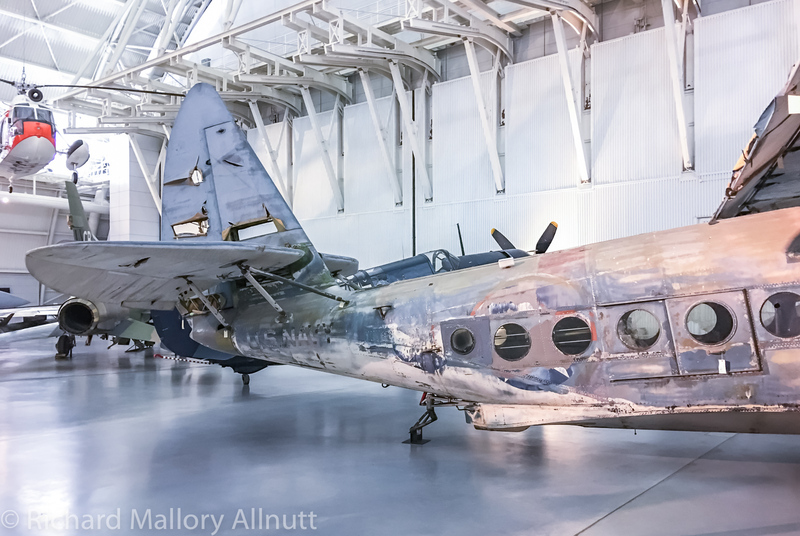 Each of the three aircraft freshly on display at the Udvar-Hazy Center have fascinating histories. 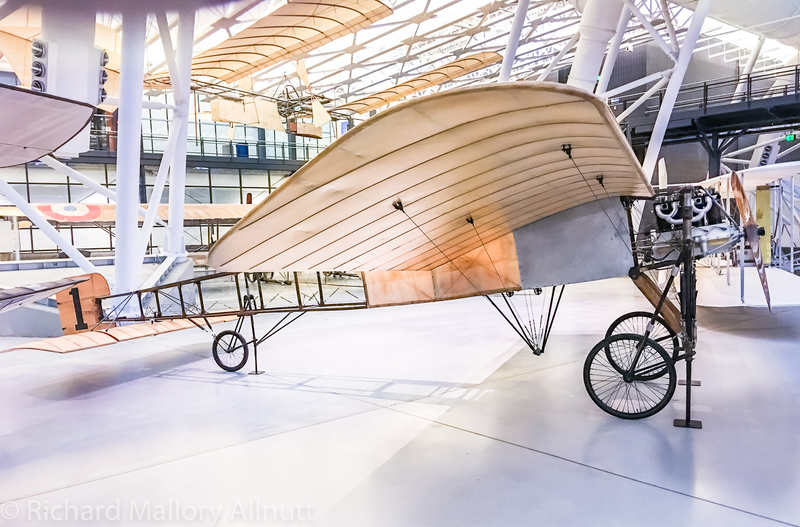 The VanDersarl Blériot is perhaps the most unusual, and dates from 1911. 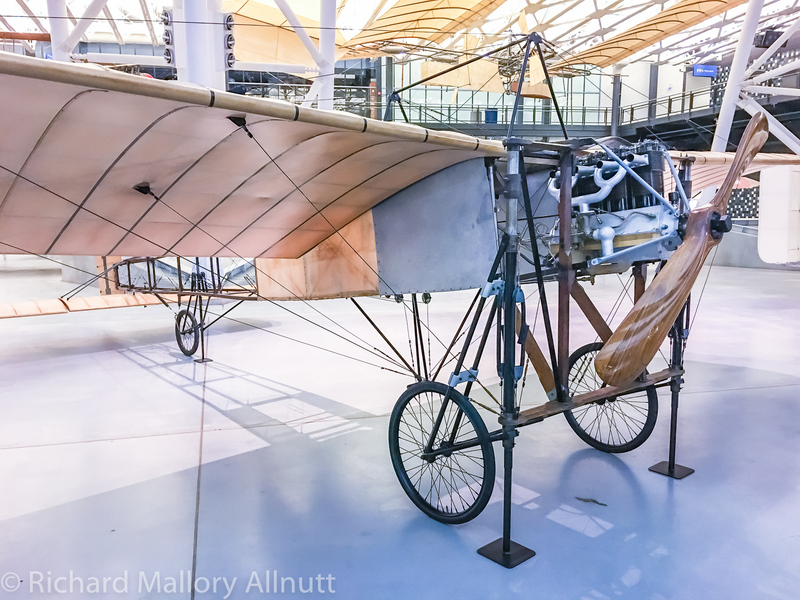 It is based loosely upon the Blériot XI, the aircraft in which its French designer, Louis Blériot, became the first person to cross the English Channel on July 25th, 1909. Inspired by the aerial endeavors of Blériot and other aviation pioneers of the day, two brothers living near Denver, Colorado, Jules and Frank VanDersarl, decided that they too wanted to fly. However, neither teenager was able to buy their own plane, nor even to afford lessons to fly. 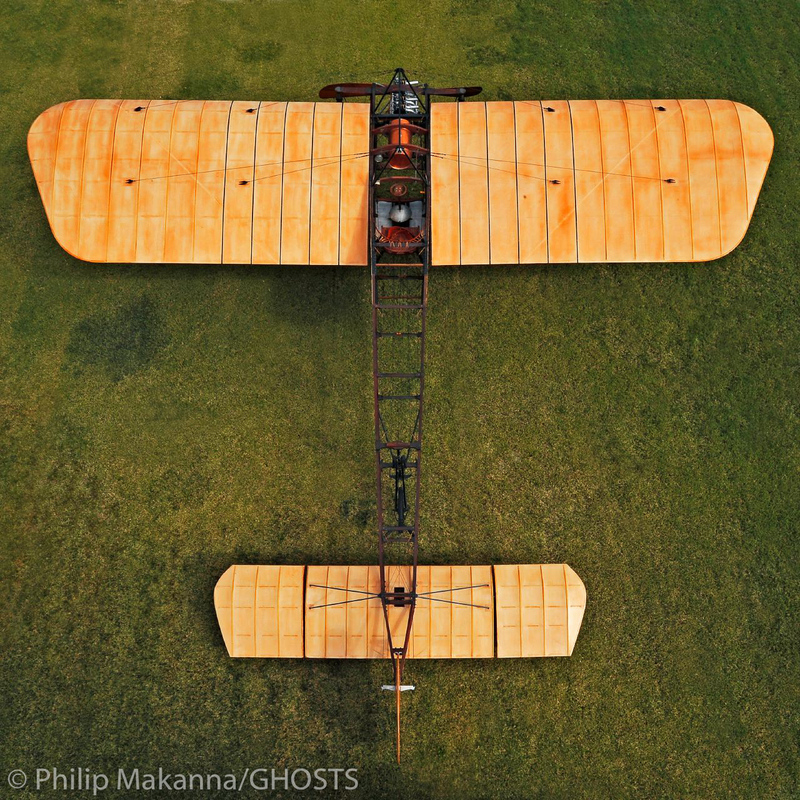 Undeterred, they set about building their own flying machine based on Blériot’s monoplane, using just photographs and detailed descriptions as a guide. They adapted a four-cylinder, inline, air-cooled automobile engine to power it. 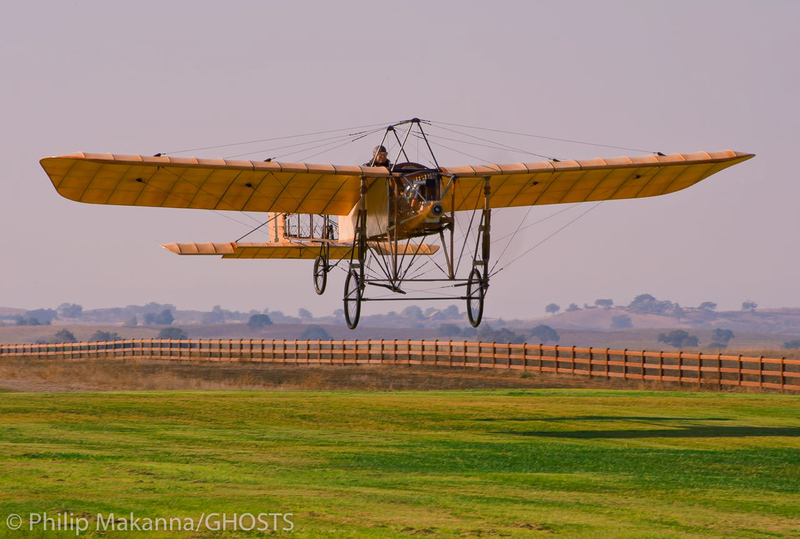 Without any formal flight training, the pair successfully flew their aircraft in June, 1911. Moving on from their own design a few years later, the brothers went on to fly more modern types, and Frank even operated his own airport and barnstorming company. The two men never forgot their first aircraft though, and stored it for posterity. They had plans to restore their prize later in their lives, but never completed the task. 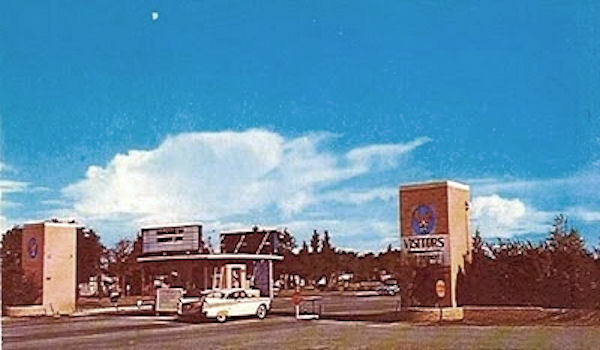 Frank died in the 1960s, and after Jule’s death in 1977, their monoplane went on display at the Museum of New Mexico. Javier Arango acquired the mostly complete and original airframe in 2009, although without its engine. 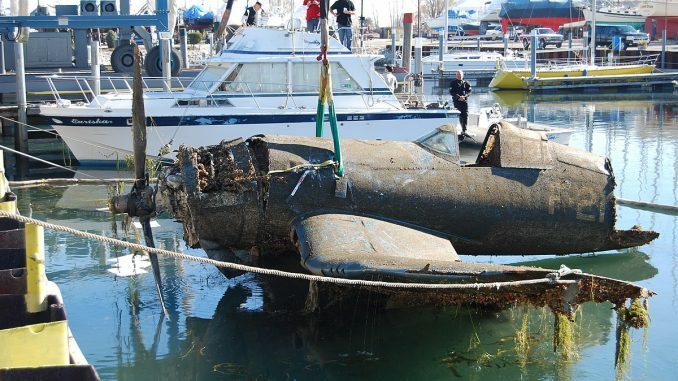 According to Arango, the aircraft was in superb and largely untouched condition. Chuck Wentworth and his company Antique Aero, also based in Paso Robles, set about the restoration, which was highly sympathetic to preserving as much original material as possible. The fuselage was nearly perfect, and mostly just needed some new cables and fittings, whereas the wings were more troublesome being clearly of slightly later vintage to the fuselage … probably as a result of accidents back when it was a regular flyer. Without the original engine, Wentworth and Arango considered simply replacing it with an Anzani 3-cylinder, as was typically used on the Blériot XI design, but the Smithsonian convinced them to be true to the aircraft’s roots, so they recreated something very similar to the original engine based upon photographs and detailed technical descriptions which the VanDersarl’s had preserved. Wentworth made sure to use as many period items on the engine as possible, including “a 1905 Bosch magneto, a brass carburetor of 1909 vintage, a tachometer, a magneto switch and a 1910 automobile oil gauge.” The concept worked very well. 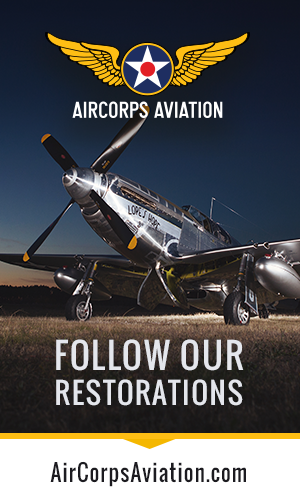 The restoration’s fierce adherence to authenticity was so well received that the aircraft won the prestigious Rolls-Royce Aviation Heritage Trophy in September, 2011 during the project’s unveiling at the National Aviation Heritage Invitational in Reno, Nevada. Javier Arango made a successful first post-restoration flight in the VanDersarl Blériot on November 3rd, 2012, just over a century after it’s initial flight. Following WWI, two former Royal Flying Corps pilots apparently acquired the Camel with a handful of other aeroplanes with the intent of setting up a flying business near the city of Lincoln, England. 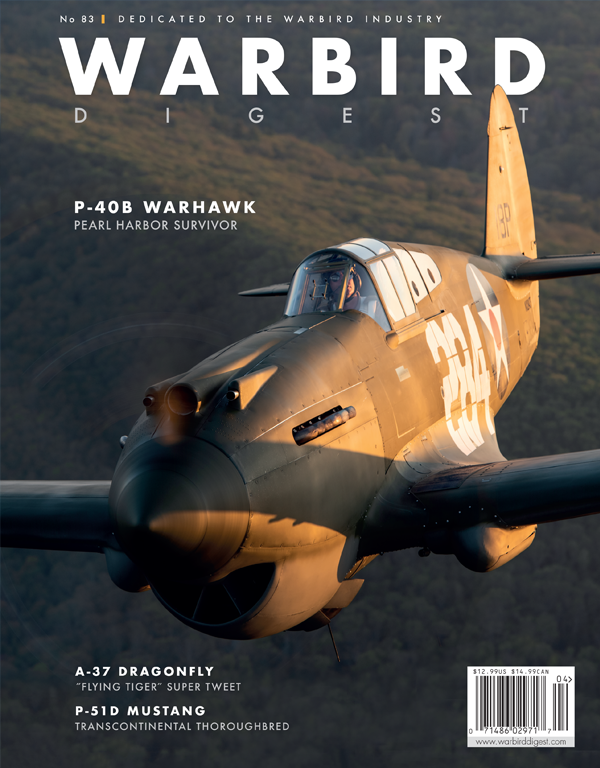 The story continues that the two men didn’t have the resources to fulfill their ambitions, and that the aircraft remained dormant in an old barn owned by a farmer named John Halkes until the early 1960s, when noted aviation restorer Lt.Cdr. 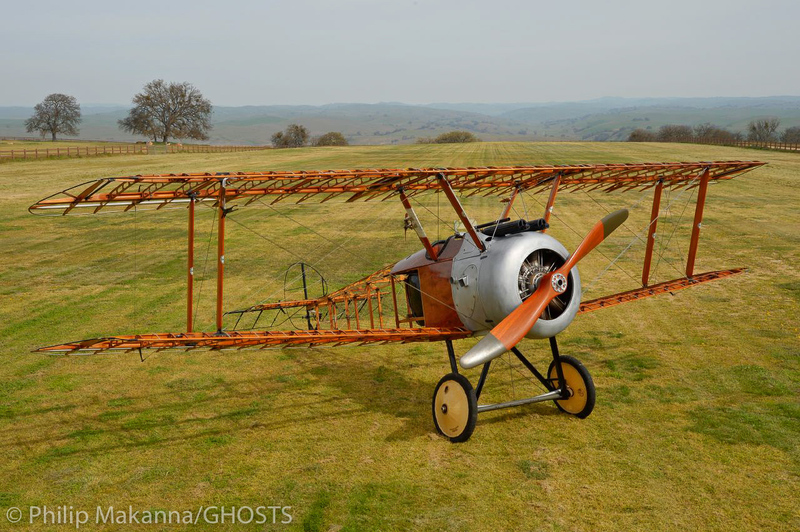 Desmond St.Cyrien negotiated its purchase along with a brace of equally rare Sopwith Pups at the same location. St.Cyrien stored the aircraft for the next couple of decades while working on other projects at his facility in Horley on the outskirts of London. 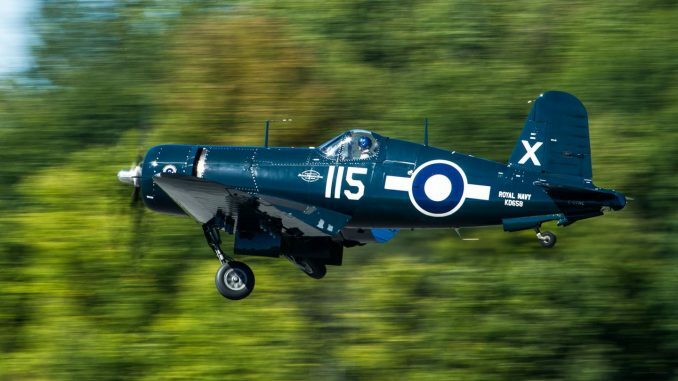 He started working on the project in the 1980s, but in 1987 St.Cyrien received sponsorship from British Aerospace, with the idea of flying the aircraft for Tommy Sopwith’s 100th birthday celebrations in 1988. Sopwith lived to be 101, but sadly never got to see his aircraft fly. 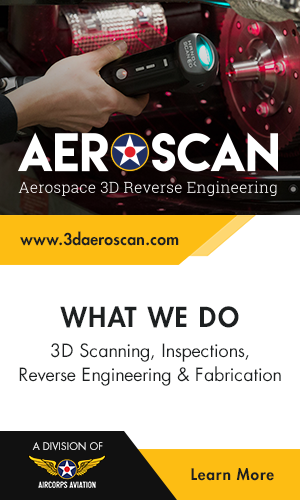 British Aerospace made and supplied a number of new parts for the project, but dropped their sponsorship after just a year. 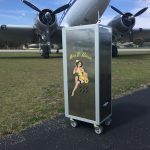 Well respected vintage aircraft restorer Tony Ditheridge acquired the aircraft in about 1990, and his company AJD Engineering got the Camel flying again by 1992. The aircraft was based with the Shuttleworth Collection for a season, operating with their amazing selection of very early antique aircraft in Biggleswade, Bedfordshire, while still under Ditheridge’s ownership. 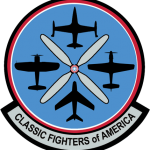 The aircraft left Britain for the USA under new ownership in the winter of 1994/95. 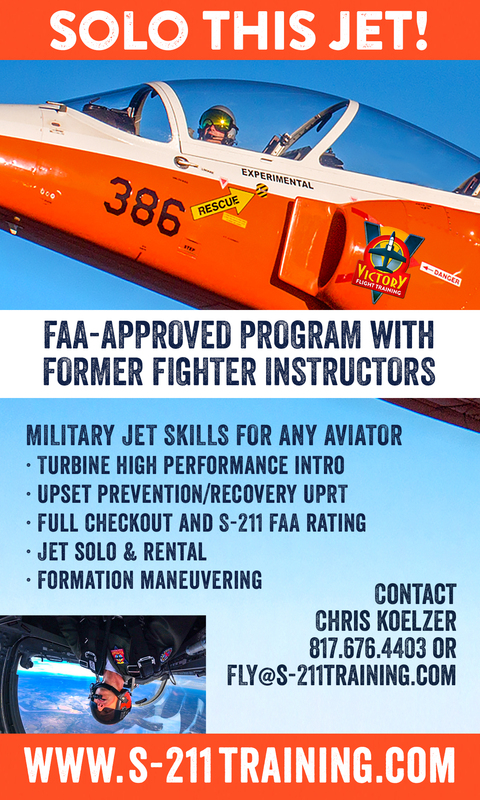 Javier Arango acquired the aircraft in the mid-2000s, and had the aircraft gone through very carefully before flying it again. 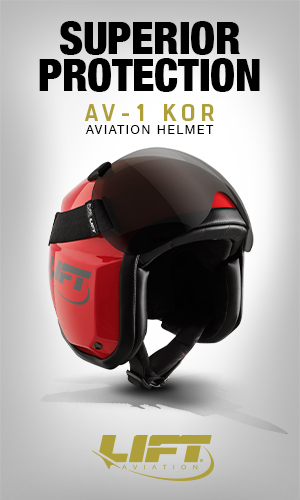 The FAA lists its airworthiness certificate being valid from March, 2006. 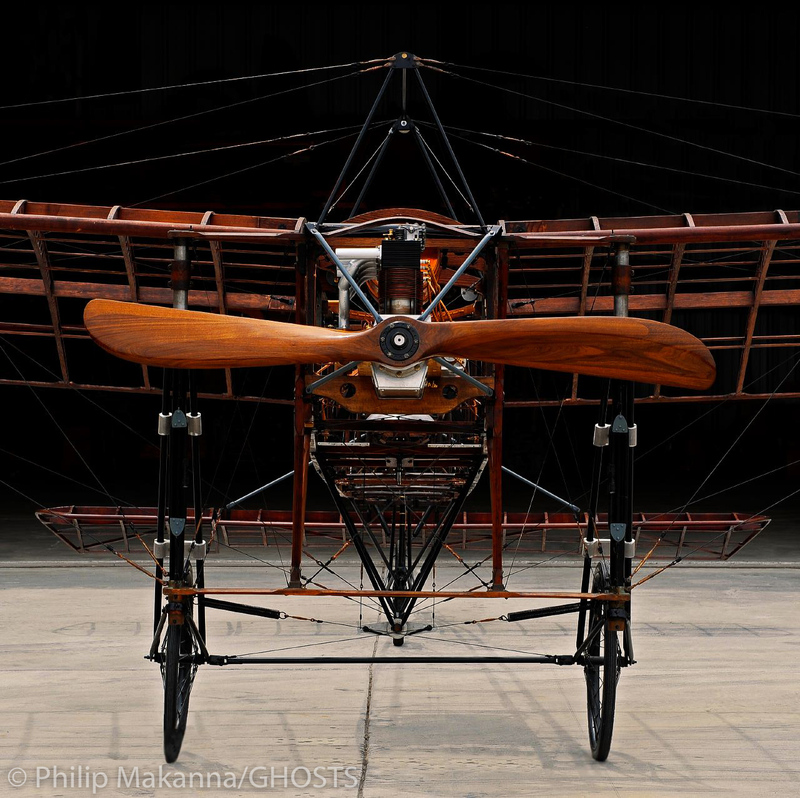 World-renowned aviation photographer Philip Makanna has provided us with some magical images of the Smithsonian’s Sopwith Camel and VanDersarl Blériot from the period when Javier Arango owned them. 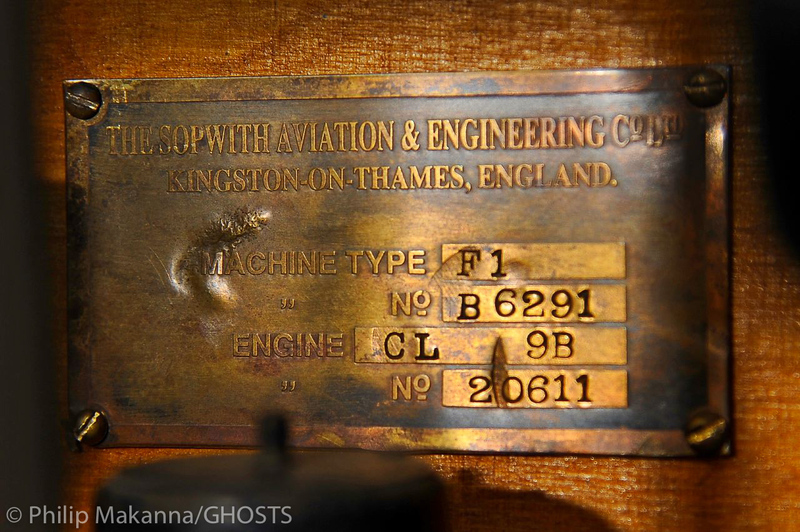 Makanna was close friends with Arango, and captured many of the aircraft in his collection, both from the air and the ground. 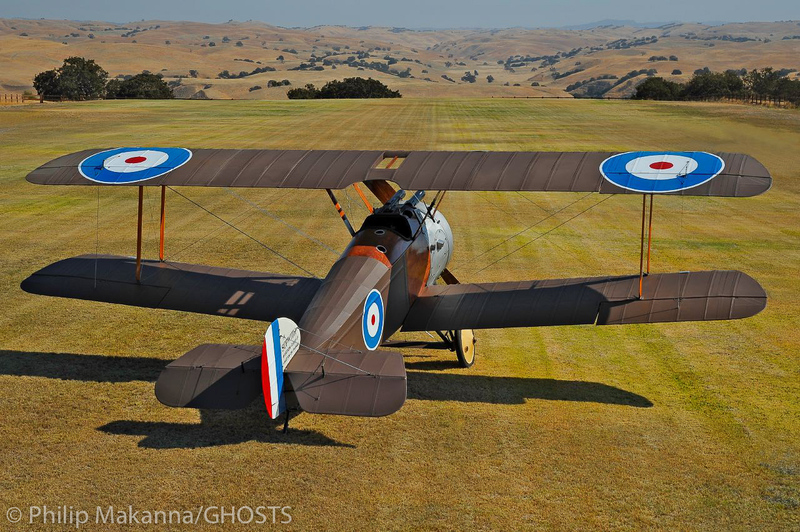 Perhaps most famous for his long-running Ghosts calendar filled with stunning air-to-air images of vintage WWII aircraft, Makanna has a deep interest in WWI aviation too, his father having flown during the Great War himself. 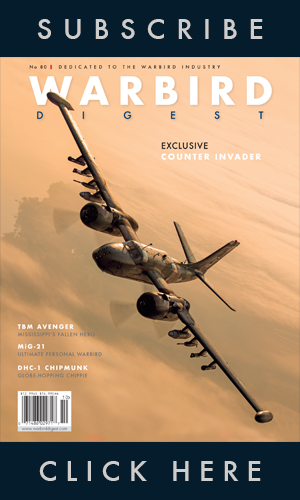 He has produced a pair of stunning books featuring Arango’s aircraft which our readers may enjoy, The VanDersarl Blériot, and Ghosts of the Great War: Aviation in WWI, as well as a calendar, Ghosts of the Great War, featuring more of his gorgeous images of WWI aircraft too.